teleseminars Archives - Cathy Goodwin, Ph.D.
Want to grow your list? Get better known? Enhance credibility? As you probably know you can achieve all three of these objectives in just one appearance as a guest on a teleseminar. When you’re hosted by someone who’s respected in the field, the host’s credibility rubs off on you. You get access to a responsive audience on the most favorable terms possible. Teleseminars are especially effective marketing tools for service business owners and independent professionals. Many people want to hear your voice before they hire you. At the same time, they want the freedom to listen at their convenience, via an mp3 device while they’re jogging, driving, multitasking or just hanging out. I’ve used teleseminars to get clients ever since I began working online. Along the way I’ve made my own share of mistakes. Of course, I also learned a lot about what works. Here are three tips that made a huge difference to my clients (and I still have to be vigilamt when I give my own teleseminars). You probably know this already … one of the best ways to grow your opt-in list is to interview a guest on your teleseminar. Here are some reasons why these interviews work so well. — A well known guest will draw traffic when you add his or her name to your landing page announcing the call. Blog posts with the guest’s name will be even more effective, as search engines pick them up. Tweets and Facebook posts will get attention from your guest’s own followers. — Your interview adds value to your own list and your own followers will forward your messages about the call, especially if you have an unusual or interesting topic. — When your guest is new to your audience, you’ll get kudos for introducing a new resource. Audiences like to listen to someone they’ve never heard before. So … how do you make this happen? (1) Get clear on the purpose of holding the teleseminar. Do you want to grow your list? Gain credibility? Make a recording you can repurpose later? 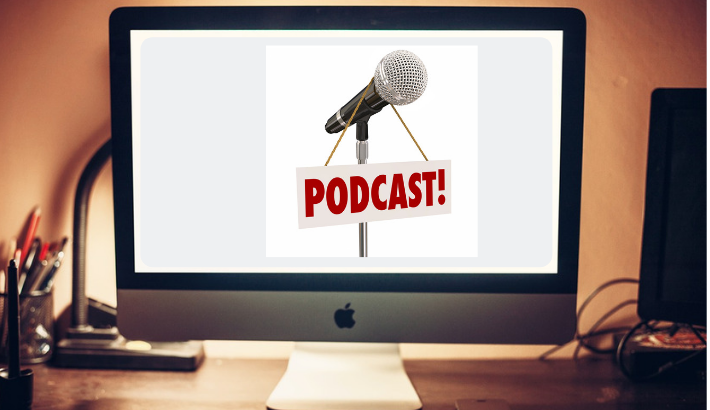 (2) Choose a guest whose topic will be a strong fit for your business strategy and your niche. For example, some business coaches find that their audiences are not interested in talks about spirituality or time management. A financial planner might interview a real estate agent, but a nutritionist would probably be a stretch. (3) Make sure you and your guest are on the same page, as we tend to live in a shifting business world. For instance, I once invited a teleseminar guest based on a talk I’d heard her give a month earlier. She had moved on to a new direction in her business and didn’t want to revisit that topic. I had to decide if I wanted to invite her to talk about her current business … or if I needed to admit that we didn’t have a good match. 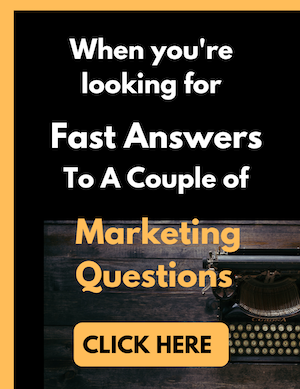 (4) Clear the Q&A format and content ahead of time. A well-prepared guest will have an interview kit all ready to go with suggested questions, a bio and promotional support. As the host, you have to decide whether you will work with the guest’s questions … or whether you want to ask your own to fit the audience’s needs. You need to clarify when you will take questions. (5) Set up the logistics before the call. – What kind of platform will you use? Will you record the call (a standard requirement these days). Teleseminar interviews offer a great opportunity to get exposure for yourself and gain credibility. What tips do you have for teleseminar guesting and hosting? With fall coming up, many of us will be holding teleseminars. We will also be inviting others to be guests and hosts. Here are some tips to invite a guest (and I’m happy to be your guest if we are a good fit!). (1) What makes Egert or Elena a good choice for your business? Will Egbert attract sign-ups among your target market so you can grow your list? Will Elena give you credibility because you get to say, “I interviewed this famous person?” Will Egbert agree to publicize the event to his big list? Will Elena make an offer with an attractive affiliate commission? We’ve all made this mistake: We’re so excited to get a famous person that we don’t ask this question. We also forget that sometimes our list would rather hear from someone new who may be less famous but more targeted to their needs. (2) What’s in it for Egbert? Why would Elena want to be a guest on your teleseminar or blog talk radio show? Does your market buy their products? Have they written you commission checks (evidence that your audience likes their products)? Are they newcomers looking for exposure? (3) Guests don’t like surprises. You set the rules. Do you want the guest to send questions? Or will you make up 10 questions and send them to Egbert for approval? Will you just turn the call over to Elena so she gives a presentation with no interruptions? Negotiate these opportunities *before* the guest appears. (4) Send the guest a call-in number well before the appointed date. If you’re using a teleseminar system, make sure your guest is signed in as an administrator or host (systems use different terms). You need to be able hear Egbert even when all participants are muted. (5) It’s a nice courtesy to send a thank you message afterward. Some people send hand written notes or send-out cards. Some guests will view this gesture as friendly but others will think it’s a little over the top. What do YOU think? What’s been your experience as a host or guest? Click on the “Comment” link below to share your views. What do you think – have you been a host? What was your experience?